Our nannies sleep during the day, so they will be awake the whole time they are working. This allows them to identify exactly what causes your baby to wake up. We will do the dishes and pick up. This way when you wake up, you can spend more time with your baby, and less time cleaning. 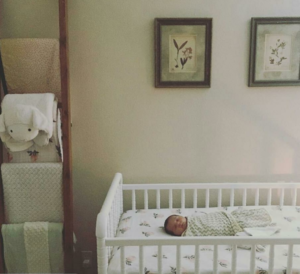 Having a newborn in your house can be exhausting. We work hard to manage the noise level, so you can get your rest. Babies need structure and consistency. We will help you set up a routine that is best for you and your baby. When you are ready to be on your own, just remember that we are always here. When you hire our agency, you not only hire a nanny, you become family. What Makes Our Agency Unique? Our agency is all about the ease of mind. From the first moment that you meet with us, to the time that we spend with your new family, all we want you to experience is… “WOW!”. All of our nannies are Certified Newborn Care Specialists who are personally trained, background checked, and CPR certified. This allows us to make sure that our quality and professionalism is the very best in the industry. Our nannies sleep during the day and do not sleep while working for you, which allows us to see what exactly is causing the baby to wake up. We address the specific situation, and we don’t have to “let the baby cry it out”.